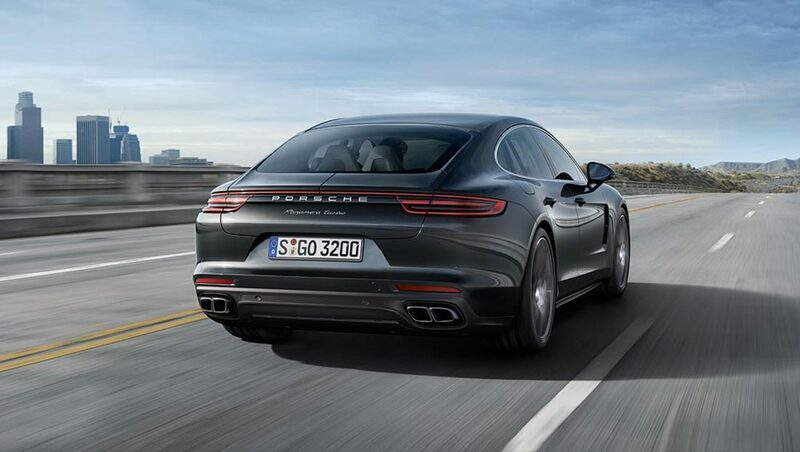 Whether you’re looking for speed and performance or style and comfort, the new 2017 Porsche Panamera combines all this and more to produce the ultimate sport/saloon car hybrid. This second generation of the Panamera has all the key features of the original model but with some modern improvements. Both the engines and transmissions have been redeveloped, whilst its chassis has been totally redesigned and the interior control panel and display has been updated to suit the modern day. Visually the Panemera is very appealing, with its slick dynamic proportions, athletic flanks and a speedy roofline 20mm lower at the rear, its perfectly reflective of the Porsche’s design icon, the 911. As technology advances, Porsche is a brand that will not be left behind. As the new Porsche Panamera is introduced so follows its unique and innovative Porsche Advanced Cockpit- a transformation from analogue to digital with touch-screen panels, individually configured displays and much more. One of the most important factors of this new car is how it skillfully encompasses key features from not only the traditional speed and endurance of a sports car but also the luxury comfort of a saloon car. This impressive union is achieved by replacing the basic layout with advanced systems such as an adaptive air suspension with a new three-chamber technology, an enhanced chassis control system, active roll stabilization and a new electromechanical steering system all making driving both more comfortable and convenient. As performance goes the Porsche Panamera isn’t to be overlooked with a V8 petrol engine that delivers 550bhp, a V6 that delivers 440hp and a V8 diesel delivering 422hp/ 850Nm. The top end V8 petrol engine can reach 60mph in 3.6s and has a top speed of 190mph showing that nothing has been compromised. With all the improvements that have been made its clear to see why the Porsche Panamera is shaping up to be one of the car highlights of the year.